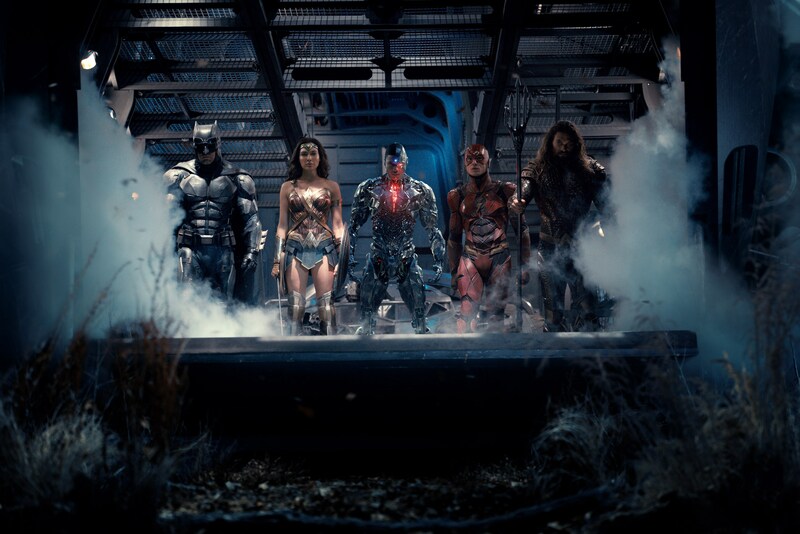 Though Justice League made only $96 million on opening weekend, fans and critics seem to praise the team dynamic stating that the film is fun on its own merits. While the trailers looked fantastic for this movie, the marketing team faltered on giving us more on the story for those who aren’t as invested in the comic book lore. Known for his visual elements in his movies, this scene was clearly made by Zack Snyder. The scene in question shows Ezra Miller’s #Flash walking through a window of a small store by using his finger to break through it. It’s a visually stunning scene but is no where to be seen in the final film. This scene was most likely placed towards the beginning of the film. Like most of these scenes, it was likely cut due to time constraints. However, this could have been a good setup for the Flash as it appears he’s just now learning to harness his powers and understanding what he’s capable of. This is yet another one of the Justice League members who’s story could have been expanded upon but wasn’t. There were quite a few scenes in the trailers and TV spots that showed Ray Fisher’s #Cyborg showing off some of his incredible abilities. While we still received the shot of Cyborg taking control of Batman’s Knightcrawler, the scene in question is when Cyborg is shown flying into the sky through the clouds with his face completely covered. It’s very likely that this scene takes place before he rescues the Justice League out of the tunnel. I’m not quite sure how it would have fit in the movie and didn’t appear to be that necessary in the film. Yet another scene is him saving a police officer from a giant tank. This appears to have taken place during the fight with a confused Superman. I’m not sure how this scene could have fit considering there were no armies standing by after Superman was resurrected. There is not one scene in this film that depicts Victor Stone without his Cyborg armor. It appears that there was an origin story at some point that was written for this character as the scene above shows Victor prior to becoming Cyborg. Another brief scene that was cut showed Victor Stone playing on Gotham’s football team while running through some pouring rain. Like the Flash scene mentioned earlier, this particular scene was likely used to tell more of Victor’s origin before his tragic accident. 4. Batman’s Hologram of Superman? This was an extremely divisive scene from the Comic Con trailer that was released back in July. Fans everywhere were wondering what this scene was actually about? Was that a hologram of Superman or perhaps another famous Kryptonian? Unfortunately we don’t have the luxury of knowing what this scene entailed because it was completely cut out of this movie. My only assumption is that this scene involved Superman researching Kryptonian culture and to find if there are any clues as to reviving a deceased Kryptonian. 5. Alfred Speaking To Superman? There were some fans that believed it could have been a Green Lantern. After all, Steppenwolf does mention in the trailer that there are “no Lanterns” meaning that there were Green Lantern’s at one point. Again, we have no idea that this was the case because the scene got the chopping block. So those are all the scenes I noticed that were from the final film? Were there any scenes that I missed? Comment below!